Southwest Bible College focuses on “Biblical Studies and Ministry Development.” Theology, Bible languages, and practical ministry courses are taught with academic excellence. Day and evening classes are available. Affordable tuition enables students to graduate debt free while attaining an Associate or Bachelor level degree in ministry or biblical studies. Come and be equipped as a servant-leader! To learn more about the Bible: Whether you are currently in ministry or not, you can take Southwest Bible College courses to enhance your understanding of God and His Word. All of our Bible courses are designed to relate to day-to-day life and ministry experiences. 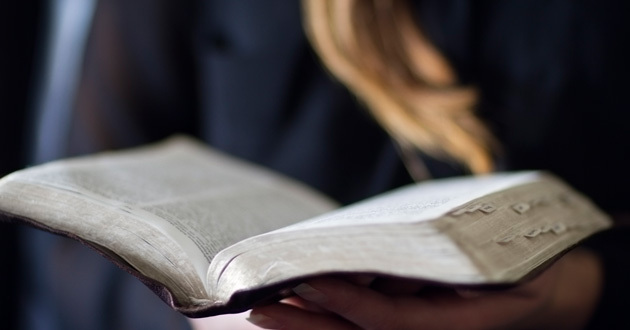 To get a Bible degree: Perhaps you are seeking a ministry vocation. What better place to prepare your self than in a College which specializes in degree programs specifically designed for those already involved in ministry and for those preparing for ministry. In addition to an Introductory Diploma in Biblical Studies, a variety of Associate and Bachelor level degrees are offered, with Ministry and Biblical Studies focuses. Our graduates have been accepted into leading seminaries for advanced studies. To encourage practical ministry experience in your local church: Christian service credits are required and earned through the student’s involvement in his or her own local church. Internship programs are encouraged which enable students to earn practicum credits for ministry experience guided by their own pastor or church staff member. To enhance ministry skills for those in the ministry: The College assists pastors and church staff members in completing a ministry degree. “Life Learning Credits” are available to those with significant ministry experience. The goal at Southwest Bible College is to keep tuition reasonably priced so that students can graduate debt free. The desire of the College is to enable our graduates to be free to serve the Lord as He directs without the burden of large debt repayment. Being debt free also gives the graduate a better opportunity to pursue a graduate level degree in the future. Tuition Costs: Tuition is $770 per quarter or $2310 per school year for students enrolled in 12-17 credits. Students enrolled in additional credits will be charged an additional $35 per credit. A rate of $70 per credit is charged when students are enrolled in less than 12 credits per quarter. Fees: Additionally, there is a small general student fee: $25 for 9 or more credits; $15 for 3 to 8 credits. There is a one time application fee of $25. Audit Costs: Students may audit classes – there is a $40 per credit hour audit charge. Audit students may elect to do class work to earn a course grade. When a grade is earned for the course, the student may change the status of the class from an audited class to a credited course by paying the tuition difference. Scholarships: Scholarships are available for first time, full time students. Additionally, the College offers a special ministerial discount for ministers, their spouses and children. Please contact the Southwest Bible College office for scholarship details.